Alessandro Rebucci, PhD (Economics, University of London) is an Associate Professor in the research track, holding a joint appointment with the Carey Business School Edward St. John Real Estate Program and the Economics Department of the JHU Krieger School of Art and Science. Prof. Rebucci is a NBER Faculty Research Fellow (IFM Program), a CEPR Research Fellow (International Macroeconomics and Finance Programme), and a non-resident faculty at the International Business School of the Beijing School of Foreign Studies. Prof. Rebucci is also Associate Editor for the Journal of International Money and Finance and Economia (the Journal of the Latin American and Caribbean Economic Association--LACEA). 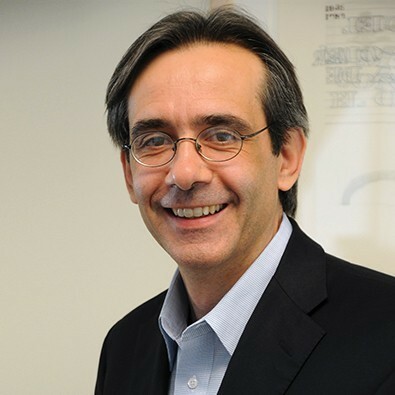 Before joining Carey, Prof. Rebucci held research and policy positions at the International Monetary Fund (1998-2008) and the Inter-American Development Bank (2008-2013). “International Credit Supply Shocks”, Journal of International Economics, (with A. Cesa-Bianchi and A. Ferrero), forthcoming. "Does Easing Monetary Policy Increase Financial Instability?" (with A. Cesa-Bianchi), Journal of Financial Stability, Vol. 30, pp.111 - 125, 2017. Capital Controls Measures: A New Data Set,” (with A. Fernández, M. Klein, M. Schindler, and M. Uribe), IMF Economic Review, 64 (3), pp. 548-574, 2016. "Capital Controls or Exchange Rate Policy? A Pecuniary Externality Perspective" (with G. Benigno, H. Chen, C. Otrok, and E.R. Young), Journal of Monetary Economics, Vol. 84, pp. 147-165, 2016. Are Capital Controls Countercyclical?” (with A. Fernández and M. Uribe), Journal of Monetary Economics (Lead Article), Vol. 76, pp. 1-14, 2015. “The Valuation Channel of External Adjustment” (with F. Ghironi and J. Lee), Journal of International Money and Finance, Vol. 57, pp. 86-114, 2015. ​"Global Liquidity, House Prices, and the Macroeconomy: Evidence from Advanced and Emerging Market Economics" (with A. Cesa-Bianchi and Luis Felipe Cespedes). Journal of Money, Credit and Banking, Vol. 47 No. S1, pp. 301-335, March/April 2015. “Financial Crises and Macro-Prudential Policies” (with G. Benigno, C. Otrok, E. R. Young, and H. Chen), Journal of International Economics, Vol. 89 No. 2, pp. 453-470, 2013. “News Shocks and Asset Price Volatility in General Equilibrium” (with A. Matsumoto, P. Cova, and M. Pisani), Journal Economic Dynamics and Control, Vol 35, No. 12, pp 2132-2149, 2011. “Special Issue on International Macro-Finance: Editorial Foreword,” (with M. Devereux, C. Engel, and A. Matsumoto), Journal of International Economics, Vol. 80, No.1. January 2010. “Oil Shocks and External Balances,” (with L. Kilian and N. Spatafora), Journal International Economics, 77(2), pp. 181-194, 2009. “Net Foreign Asset Positions and Consumption Dynamics in the International Economy,” (with F. Ghironi and T. İşcan), Journal of International Money and Finance, 27, pp. 1337–1359, 2008. “Measuring Contagion and Interdependence with a Bayesian Time-Varying Coefficient Model,” (with M. Ciccarelli), Journal of Financial Econometrics, Vol. 5, No. 2, pp. 285-320, March 2007. “Has The Transmission Mechanism of European Monetary Policy Changed in the Run-up to EMU?” (with M. Ciccarelli), European Economic Review, Vol. 50, No. 3 , pp. 737-776, April 2006. “The U.S. Dollar and the Trade Deficit: What Accounts for the Late 1990s?” (with B. Hunt), International Finance, Vol. 8, No. 3, pp. 399–434, December 2005. “House Prices and Capital Flows: Micro Evidence from the German Boom”, (with Peter Bednarek, Daniel Marcel te Kaat, and Chang Ma). “Capital Flows, House Prices, and Exchange Rates: A Quantitative Assessment of the Dilemma Hypothesis” (with A. Cesa-Bianchi and A. Ferrero). "Estimating Models with Financial Crisis: An Endogenous Regime Switching Approach” (with G. Benigno, A. Forester, and C. Otrok). "Uncertainty and Economic Activity: Identification through Cross-Section Correlations" (with A. Cesa-Bianchi and H.M. Pesaran), NBER WP No. 24325 and CEPR DP No. 12713 (under revision). "Optimal Policy for Macro-Financial Stability" (with G. Benigno, H. Chen, C. Otrok, and E.R. Young), CEPR Discussion Paper No. 9223 (under revision).